Stepping off the plane at Stansted airport and being met not with dark clouds and torrential rain but sunshine and 28 degree heat was definitely an oddity a few weeks ago! 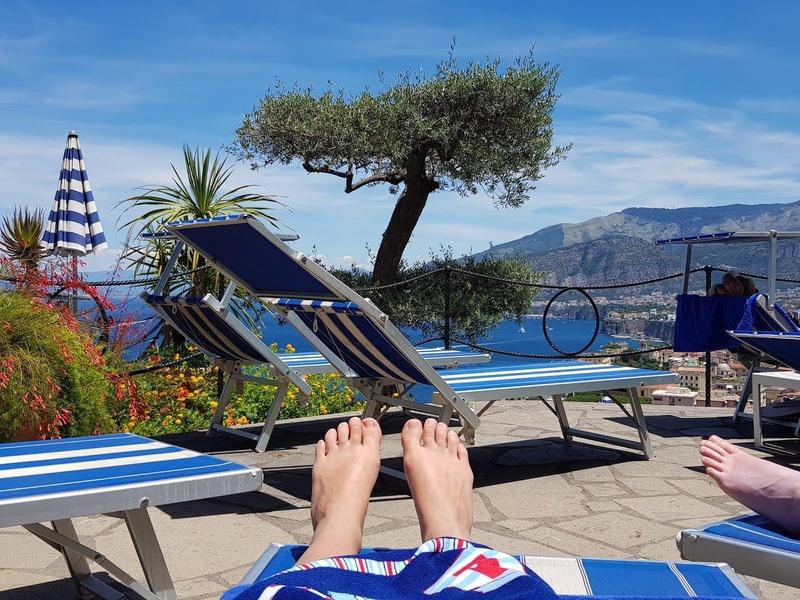 I’m now back from my holiday in Sorrento and I’m absolutely delighted that summer in the UK is in full swing. 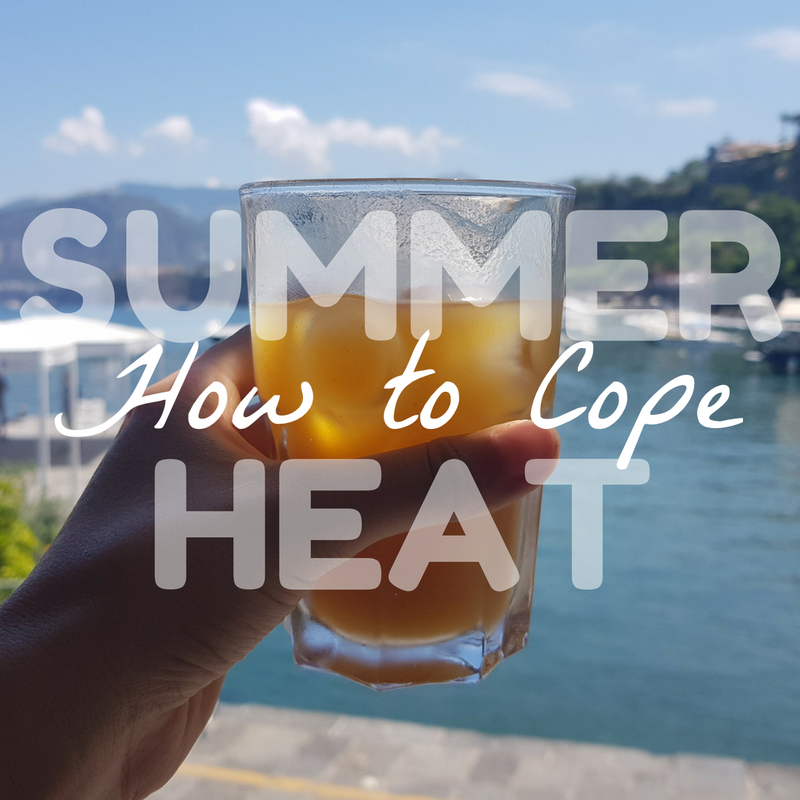 I’m a huge fan of the hot weather and the barbeques, sunbathing, and bronzed tans that this brings, but coping with the warmth and humidity of the British summer can be a challenge, especially if you’re not naturally comfortable in the heat. 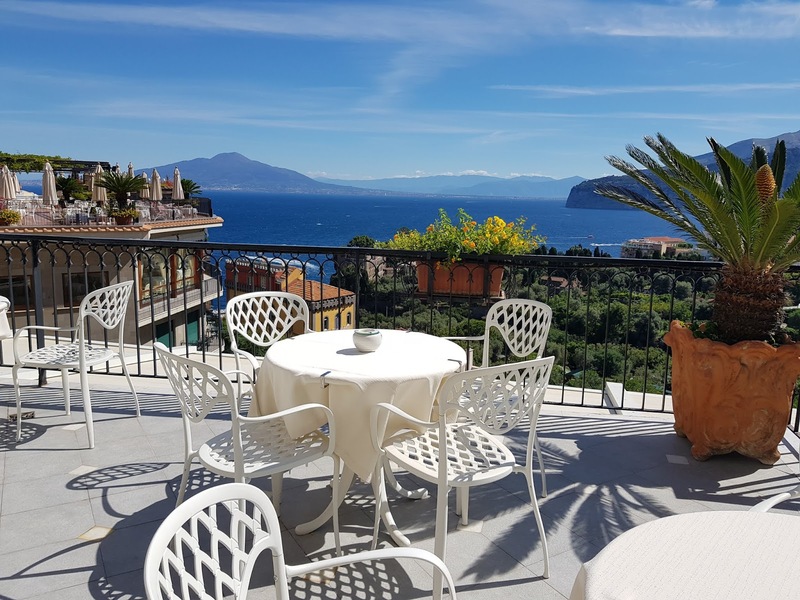 While I was away in Sorrento, temperatures hit the high 20’s most days and when you’re out and about exploring a new city, the heat can really take it out of you. 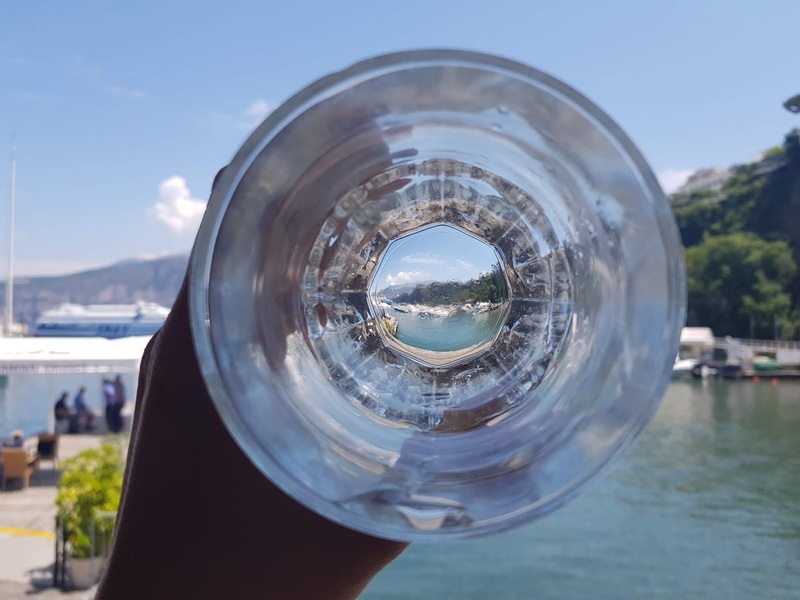 That’s exactly why I’ve put together this list of top tips for enjoying the summer without suffering due to the heat, advice which is just as applicable in Portugal as Preston! Let’s get started. When it comes to keeping cool, what you pack in your beach bag is all-important. 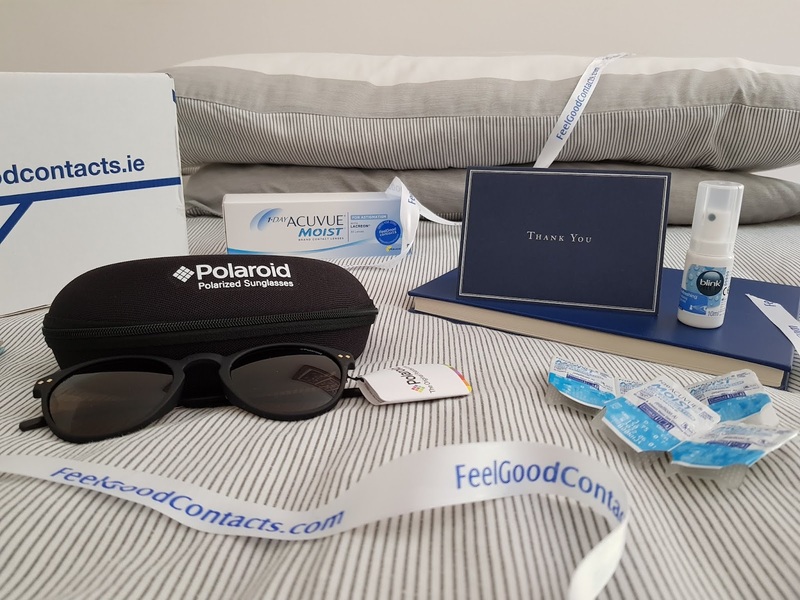 Thanks to the lovely people at Feel Good Contacts, my hot weather survival kit is well stocked. They very kindly gifted me a supply of their daily disposable contact lenses, which are a lifesaver in the warm weather. As someone who is short sighted, I know the pain of wearing glasses in the summer. You really can’t win – you can either wear your specs on the beach and find yourself unable to read your book because of the sun’s glare on the pages, or put your sunglasses on and struggle to read without squinting, leading to a nasty headache. Wearing contact lenses is the perfect solution as you are able to see clearly AND wear your sunnies at the same time. Purchasing your contacts from Feel Good Contacts can save you up to 50% on high street prices and you can enjoy an even greater discount with my code too: ABBEYLOU10. As well as contact lenses, Feel Good Contacts stock a wide range of sunnies, including these gorgeous Polaroid sunglasses which they kindly gifted to me. I definitely look cool in these even if I don’t feel it! As well as my contacts and my sunglasses, my beach bag is also stocked with a hydrating eye mist and a handheld fan. A spritz of the mist and a blast with the fan really help to keep the edge off the heat. It won’t be news to anyone that if you don’t drink, you’re going to suffer in the sunny weather. Keeping hydrated is key to avoiding sunstroke and other nasty heat-related ailments. So, when it starts to hot up, make sure you’re armed with a bottle of water, or some fruit juice to keep the heat at bay. Why not make it your mission to try every fruity drink on the hotel menu, if you’re going away this summer? Or better yet, if you’re staycationing at home, grab some ingredients for fruit punch and mix up a bowl in your kitchen! As well as drinking your fruit, eating it is another great way of staving off thirst. Juicy fruit is a light snack that won’t weigh you down and make you feel hot and heavy in the summer weather – munching on a succulent peach or a bowl full of ripe strawberries will help with hydration due to the high water content. Start a fight ... with water in the garden! Are you ever too old to chase your brother / boyfriend / Dad around the garden with a water pistol? If you’ve answered yes, you can stop reading right now. There’s nothing better than a good old fashioned water fight, so don your swimmers and plot a watery ambush for your unsuspecting victim. I can guarantee a cooling and raucously fun experience as you get doused with the hose in return! Sun cream is an essential component of any summer holiday, or of sitting in your back garden sunbathing for that matter. However, this doesn’t make it any more pleasant to wear. Some sun creams can be smelly and sticky, as well as leaving your skin feeling tacky and in need of a scrub. If your sunscreen is waterproof, you may struggle to get it off in the shower and will be feeling a bit gross for days after application. To combat this, I use a lightly exfoliating body wash from Neal's Yard Remedies in the shower to clean the sunscreen off my legs and arms. Obviously you shouldn’t over-use exfoliating products as they can cause damage to your skin, and if your skin is burned, you should probably steer clear of them as well, but if you use with all due caution, a light exfoliator can be a lifesaver when ridding yourself of sticky sun cream residue. This is a piece of advice that I swore by when I was in Sorrento. I always took two towels with me when sunbathing by the hotel pool or at the beach, one to lay on (obviously – despite what models gyrating on the beach in perfume ads tell you, nobody likes a sandy bum) and a second to cover myself up with when the heat got too much. Having a cover-up on hand enabled me to escape under a little bit of shade when I needed it, preventing me from burning as well as overheating. And the best part? I didn’t even have to get up and drag my sun lounger into the shade. A lazy girl win right there! You don’t need to subject yourself to a full-body cold shower to cool off in the heat, all you need to do is lower the temperature of your feet and you’ll feel the benefits all over. Sounds weird, right? But it works! Your tootsies are especially sensitive to temperature due to the presence of a lot of pulse points in your feet and ankles. Plunging your feet into a bowl of cold water will give you instant relief from the heat, but if bringing in a bucket of iced water into the office would raise your boss’s eyebrows a little too far, there are plenty of other products which you can use to regulate the temperature of your ten little piggies. You can invest in everything from insoles with cooling liquid gels to ventilated socks which cool your feet down with every step you take. Neat, huh? I absolutely loathe aftersun. If you do suffer from sunburn because of a particularly stifling day at the pool, rubbing aftersun into your poor battered skin can be exceptionally painful – it really stings! Therefore, I refuse to use it, instead opting for aloe vera gel. Aloe vera is a much gentler alternative, causing no irritation as you apply it to burned skin. Aloe vera has amazing nutritional and antioxidant properties, promoting skin healing as well as moisturizing even naturally oily skin without making it greasy. Its two main hormonal components (named auxin and gibberellins for any science buffs out there) work as anti-inflammatories, reducing redness and stimulating the growth of new skin cells. Since trying aloe vera for parched skin, I’d never go back to regular aftersun. *This is a collaborative post with Feel Good Contacts.